That concludes the story and the most important dramatis personae but don’t despair if you’re into complex settings – after all there are about (wait for it...) 130 characters in total you’ll read about. The long-winded, stilted narration in the beginning and the complexity are in fact the most important issues that drag this book down. Yes, the plot is formulaic, yes, the characters are “somewhat” archetypical as well but – and this is why "Priory” still gets three stars from me – when Shannon overcomes her own inhibition to go beyond what she seems to feel are the limitations of her genre, you feel the raw potential of an author who needs refinement, who needs someone to encourage her to break free from convention. Yes, any sane person knows that and – I'm sorry – those who don’t are beyond redemption anyway. 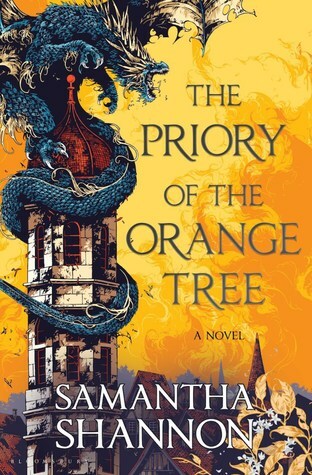 Sign into Goodreads to see if any of your friends have read The Priory of the Orange Tree.